We believe the elderly should be able to live in security and dignity. Catholic Community Services and Catholic Housing Services provide a variety of services to seniors and to people with disabilities that dignifies each individual while providing the needed tools to help extend independent living and promote physical and mental well being. 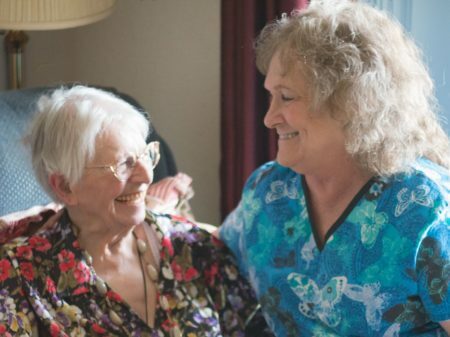 Read Betty’s story to learn more about Long Term Care’s commitment to providing dignity and hope to seniors and people living with disabilities. An outgrowth of our home care programs has been the recognition that low income seniors who are not homebound need nutritional meals and socialization. To this end, numerous senior meal sites as well as Meals on Wheels have been established in Pierce County. Other services to seniors and people with disabilities include referrals through Volunteer Services, a vast network of help that matches volunteers to the needs of seniors and others; low income housing, and volunteer transportation.